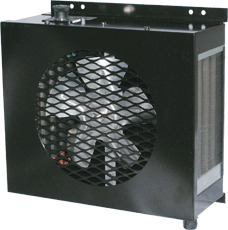 12 or 24 Volt Hot Coolant Cab Heater. 20,000 BTU. Multi-speed fan control switch mounted on top of housing. 5-blade aluminum fan blade. Tube & fin water coil with Lifetime warranty.